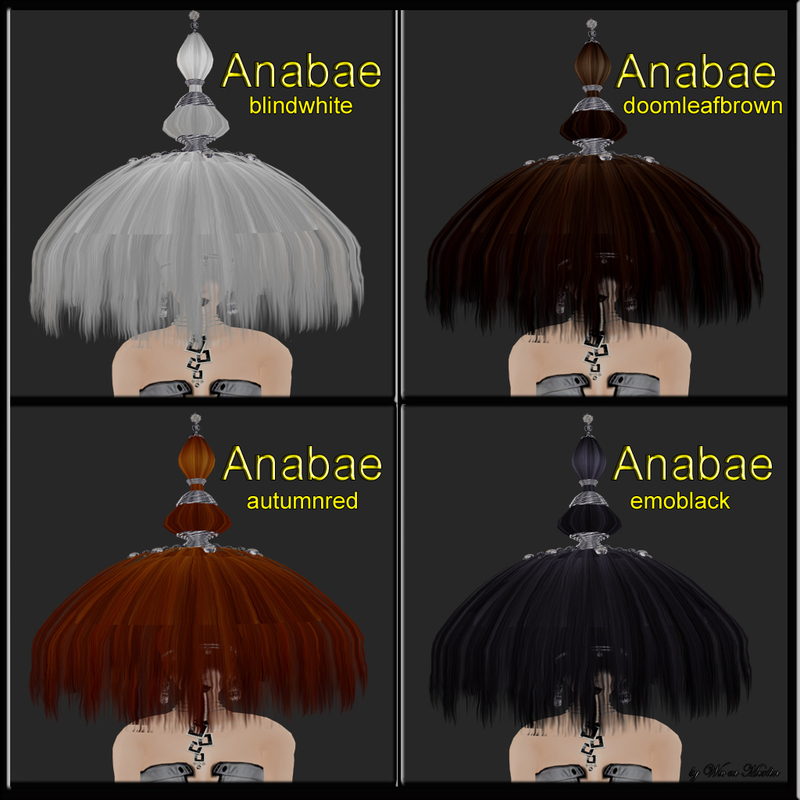 The fist one is called “Ayana” and it comes in way more colors than I snapped for this post. I tried to cover more colors over the other hair styles I have cause it is really a huge number of colors that are available for the most hair styles. “Ayana” is kinda non symmetric hairstyle with a dominating right side. The big hair part goes to the right and also the 2 sweet wisps are located on the left side. 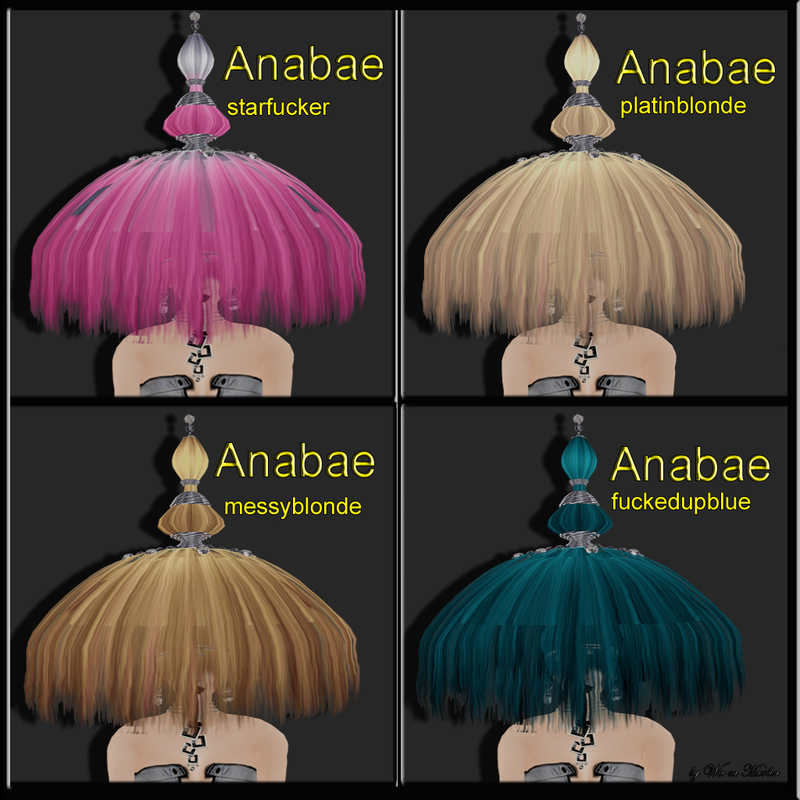 “Anabae” also comes in unbelievable 24 colors like the “Ayana” hairstyle and I tried to show more colors as both hairstyles come in the same colors. The last 2 hairstyles for today are very elegant ones in my view. “Donna updo” is the perfect hairstyle for a sophisticated event or even a very high-class outfit on the runway… It comes in natural colors like black blonde and red with gold or platinum decoration. The same it is for the “Invicta” style. In the back it has a beautiful half long ponytail also in the natural colors. 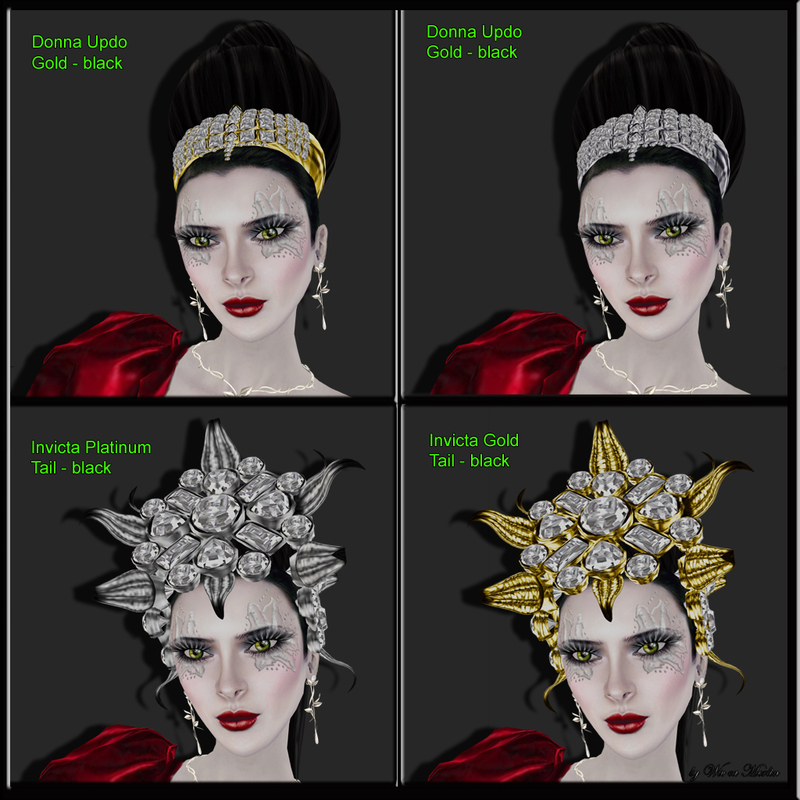 Same as for the “Donna Updo” you can choose between gold or platinum for the noble metal parts. This entry was posted in Fashion, New Releases and tagged Arisia Ashmoot, Avangtgarde, Blog, Blogger, Body Talking, Fashion, Hair, Hair Styles, Hairfair 2010, Hairstyles, Haute Couture, Latest Release, Miamai, Model, Modeling, Monica Outlander, New, New Release, photographer, Pose, Poses, Release, Second Life, Secondlife, SL, SL Fashion, Style, Wicca Merlin. Bookmark the permalink. 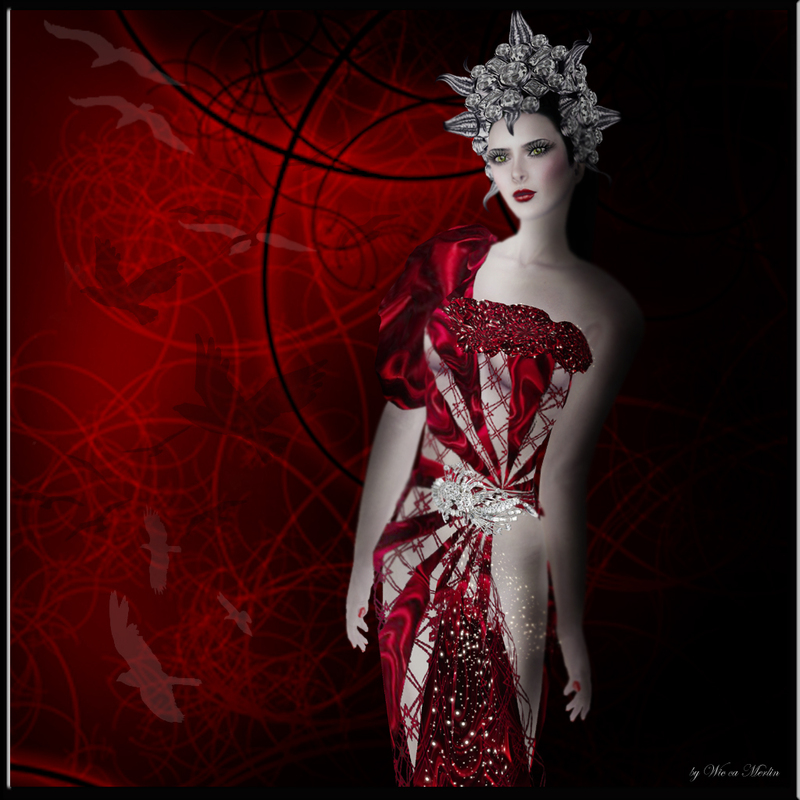 ← Arisia Ashmoot’s “Model ABC” – New Poses from Body Talking!!! i bought some Miamai hair at the fair, loved them!